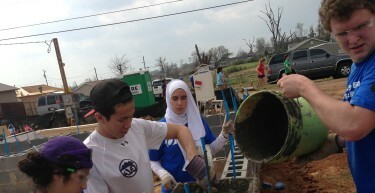 Experiential courses give students the chance to deepen their understanding of complex concepts and challenges. Opportunities range from teaching civic education to local middle schoolers to working with a team to build a 3D Printer. Our engagement programming focuses on encouraging deep reflection on and search for alternative positive learning experiences. Nurturing relationships is the heart of this work. 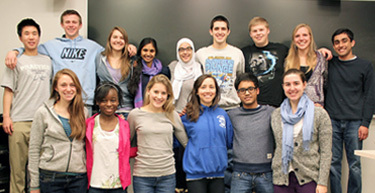 Lehman Community Engagement is a student-run platform organization for community-minded groups on campus. 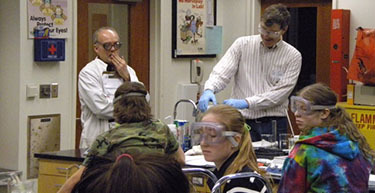 LCE works to help break down the barriers between campus and surrounding communities in the Berkshires to allow students and community members to learn from each other through equal partnerships. 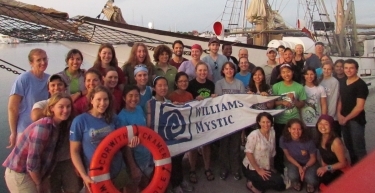 Opportunities beyond the Berkshires include the flagship experiential Williams-Mystic maritime studies program, the Class of 1959 Teach New York urban teaching Winter Study program, volunteer spring break service Break Out Trips, and more.